Which Items For Newborn Twins Are Really Useful & Necessary? The market is floated with baby items and often brands say that their products are “must-have” for new moms. But are they really? Of course there are some products and gadgets that may help to make your life with a newborn twins easier, but you need to choose them carefully. Having two babies doesn’t mean that you have to buy twice as much items or spend twice as much money. Below you can read my opinion on different accessories for newborn twins and see the list of items that turned out to be very useful during my first year as a mom of twins. The fact that a mom of twins needs a double stroller is pretty obvious. We need to get out of the house sometimes right? We want to stay active, go to the park, do some groceries, go to the mall or meet with a friend for a coffee. But it’s not so obvious which double stroller to buy. The amount of available models is so vast, you may feel dizzy when you enter a store with baby strollers. Tandem strollers or side-by-side strollers, double car seat frames, Sit’n’Stand strollers… Which one is the best? Of course everything depends on your lifestyle and your needs. It depends on how often and on what type of terrain you will use it, whether you need to carry it down the stairs, how big is the trunk of your car, and many many more factors. When I was pregnant with my boys I did tons of research to find the best double stroller that would allow me to stay active. I tested dozens of twin strollers and frankly, some of them were so bulky and hard to use that I couldn’t imagine using them for walks with two babies. 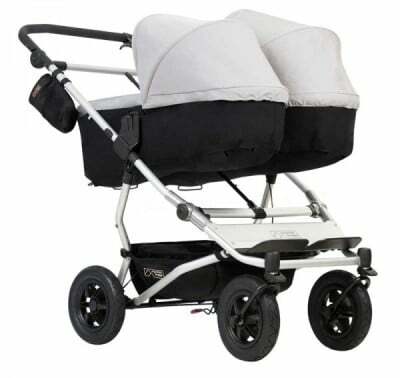 I wanted a double stroller that would make going out EASIER, not HARDER! My ranking of top-rated & safest double strollers is the result of my research – which didn’t actually end when my twins were born, but continue to this day. Now, my sons are 2 years old, and through that time my list of “must-have” features has evolved a bit – as my boys are growing and our needs are changing too. 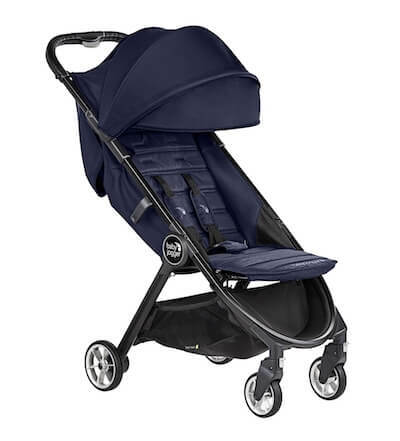 Besides, the market is changing as well and the strollers that are available today are different than strollers designed 5 years ago. That’s why I often update my ranking and try to keep it up to date, to give you most adequate and useful tips. 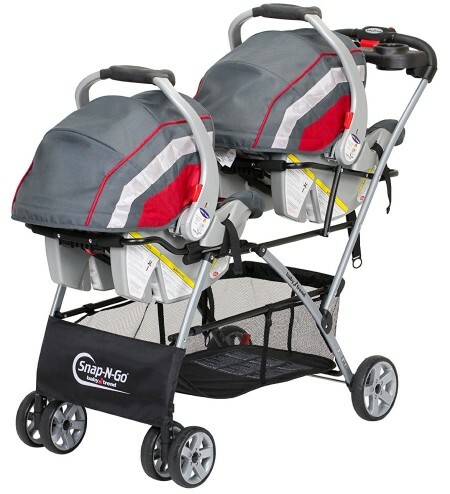 If you still don’t know which stroller to choose for your twins I invite you to read my ranking. Having a double car seat frame during the first 6 months is very useful, especially if you often drive a car. Only a few standard double strollers accepts two infant car seat at once, so a double frame is actually a great solution. If you’re on a tight budget it may be a good alternative for the first few months, before you switch it for a lightweight stroller (which usually costs less than a standard double or expandable stroller). It may not be that obvious, but there will me times when you need to get out of the house with just one of your babies (for example to take him/her to the pediatrician or just for a quick walk when he/she is fussy or colicky). And at that time you don’t want to stroll with one baby in a big double stroller, right? It’s useful to have a small single stroller or an expandable stroller that you can use with one or two seats attached, depending on your needs. *I admit, my situation was a bit easier because I could use for my twins a single stroller that I previously used for my third, oldest child. Even though I wasn’t first-time mommy when my twins were born, feeding two babies at once turned out to be quite difficult for me. Double nursing pillow was super helpful for me during the first 3-4 months. We also used our pillow for tummy time, as well as for supporting our boys when they started sitting up. Generally speaking baby swings and rockers are wonderful especially if your baby is colicky or teething makes him/her really fussy. And of course these items help you to have a moment for yourself (or should I say a moment to clean the apartment, prepare a meal, help your other kid with homework etc.). Yes, two swings or two rockers take up quite a lot of space in the bedroom or living room, but I can’t imagine surviving the first year without them. Baby swing or rocker is super helpful when you want to comfort your baby, it’s also a very comfy place for a nap time or play time. If you don’t have a lot of free space in your apartment, choose a baby swing or rocker that folds up flat and can be stored under the bed or in a closet. Not all moms are into babywearing, that’s why I don’t think a double carrier is a necessary item for mom of twins. It really depends on your preferences. If you feel confident enough to try tandem wrapping or tandem wearing there are a few carriers on the market that allows for baby wearing with twins. You can use for example Boba wrap for wearing your twins – there are some videos on YouTube that show how to tie it properly. Many moms (and not only twin moms) can’t stop raving about how convenient it is. If you have a flexible budget, this accessory is definitely worth taking into consideration. What do you think about my list? Would you like to add something as must-have or optional accessories? Let me know in the comments below!